OK, corny play on words but, you really had to have been there. 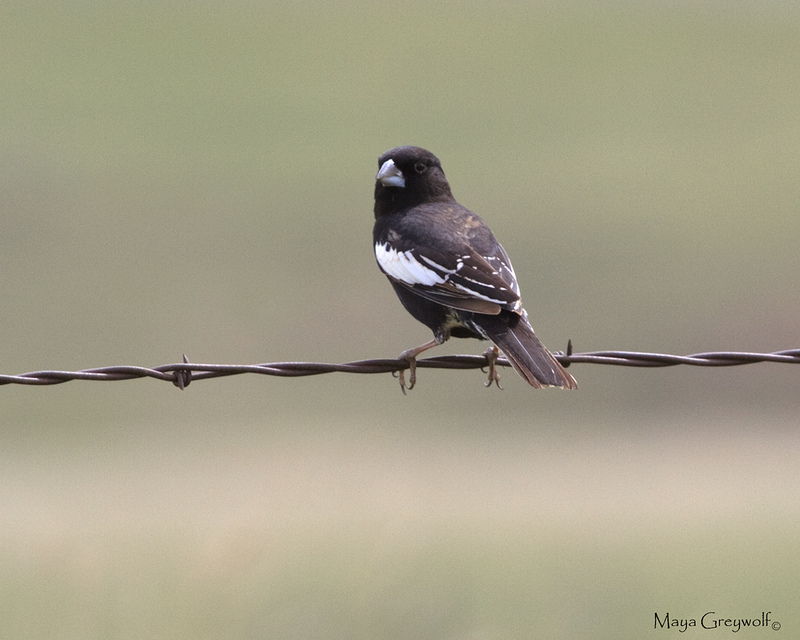 The prairie lands just east of the Black Hills was all aflutter with Lark Buntings, Lark Sparrows and Horned Larks. The Lark Buntings were abundant. 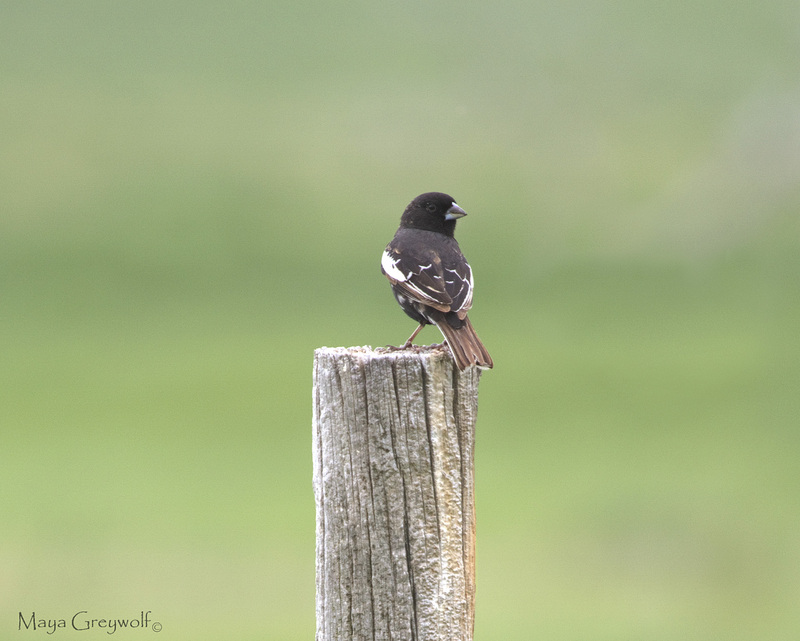 We consistently saw numerous small flocks of black and white flashing from the ground throughout the day and occasionally, a displaying male rise up into the air and sing as he fluttered back down. What a lovely show! 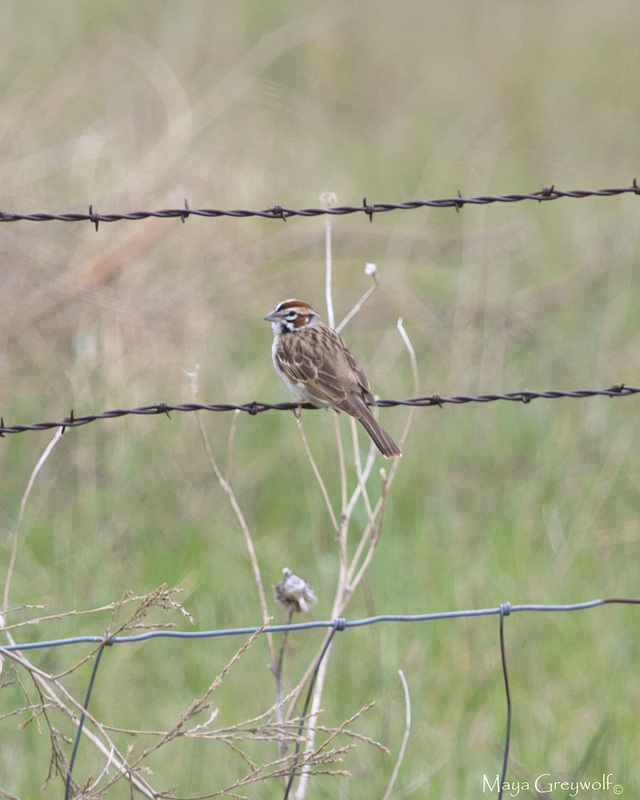 Lark Sparrows were also abundant, but hard to catch with the camera. They have such beautiful facial markings. 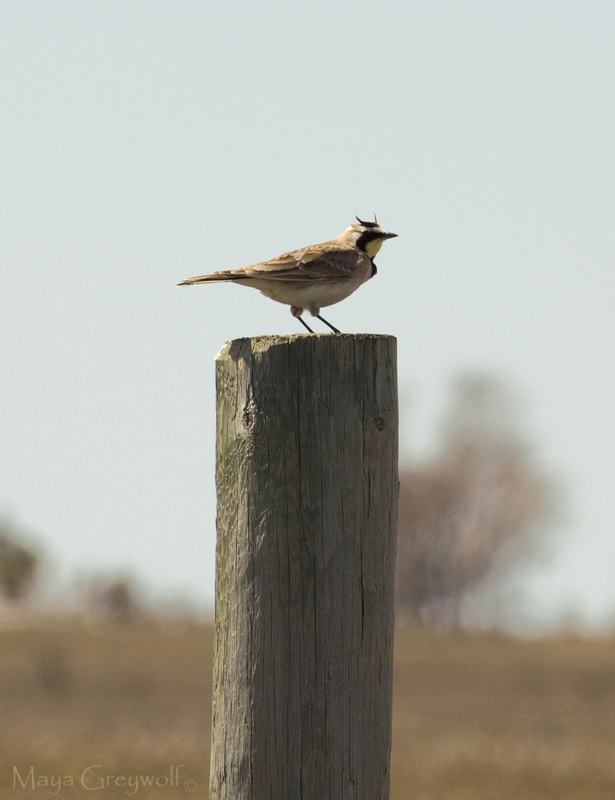 This is an older (and not so great) photo of a Horned Lark but it shows that they are aptly named! I like the second picture alot the bird really stands out against the pastel colours. Wonderful images of those sweet little guys! I especially love the first 2 with the shallow depth of field…such great detail!